If you haven't read The Spinster Club trilogy then you should probably stop reading this review and go read them immediately, not just because this review may have tiny spoilers for the trilogy in it, but also because it is an incredible YA feminist series everyone should read. ...And a Happy New Year? is a novella set a year after What's a Girl Gotta Do (the last in the Spinster Club trilogy) and sees all three girls from the Spinster Club trilogy back after going their separate ways at the end of college. 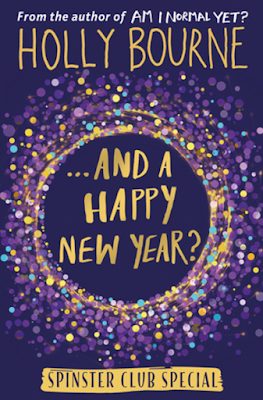 The events in the book all take place on New Years Eve and is told through the eyes of each of the girls. This is the last book that we will be seeing the Spinster Girls in and I think it was a very lovely end to the series. 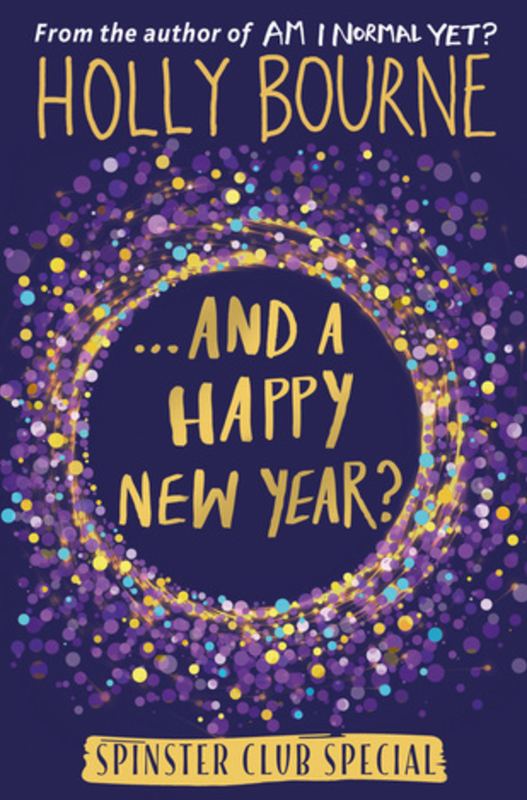 New Years eve is told through each girls view and Holly Bourne does a great job of showing all the different personality traits of each girl in one book. As with all the other books in this series, AAHNY is funny, touching and slightly sad as the girls explore how hard it is to maintain friendships after college and how people often change when they go away to university, something that I've seen firsthand and think Holly portrays it very realistically. I really wish this book was slightly longer, just because I love the characters in the series so much (Evie is my favorite!) but I think although it is a novella, it is the perfect length to tie up all three stories and end it. This book isn't worth reading if you haven't already read the rest of the Spinster Club books because there is too much back story, but if you have you will love this one equally and if you haven't, well go read them and come back and read this!